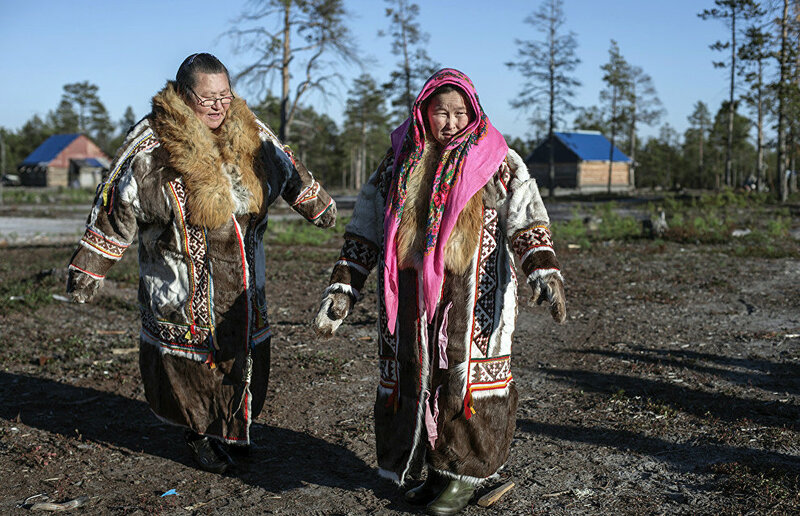 The federal government will earmark a total of over 1.3 billion rubles in support of the indigenous ethnic minorities of the North, Siberia and the Far East until 2025. Deputy Head of the Federal Agency for Ethnic Affairs Alexander Nenashev said this during the first summit of the indigenous peoples of the Barents Euro-Arctic Region in Moscow. "The federal program [on the state ethnic policy] includes a series of mechanisms for supporting the indigenous populations," he said. "In particular, targeted support totaling over 1.3 billion rubles is to be provided to the regions with indigenous populations as part of the program. This is of course not only for one year, but until 2025." The funds will be used to provide more access to social and engineering infrastructure, develop education and culture, and preserve the traditional economic activities. "Despite the clear positive changes in the rights protection of the indigenous peoples, acute problems persist, often linked to the survival of the indigenous peoples — something that cannot be addressed exclusively via mechanisms and support instruments inside the country," TASS quoted Nenashev as saying. He said the work to protect the rights of the indigenous population had entered an international level. "Recently, our agency together with the Russian Association of Indigenous Peoples of the North, Siberia and Far East came up with a project, Children of the Arctic: Pre-school Education. "One of the project's main goals is for us and experts of the Arctic Council nations to select the most successful teaching practices of indigenous peoples' pre-school education," Nenashev said. He said these practices should teach national and ethnic history, mother and national tongues, and also ways of acquiring and preserving knowledge of the traditional management of natural resources.